Quickly, social media is taking over the Internet landscape. 500 million. Almost double the United States population: That’s how many users Facebook now has. 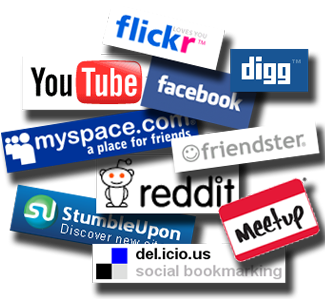 Social media is slowly becoming synonymous with “the Internet” and “new age” technology. The rapid expansion is catching on with everyone; in fact, 40-50 year old women are one of the largest growing Facebook groups. With the increasing popularity of the social media age, companies are starting to get into the loop as well. Slowly, businesses are beginning to adopt and use social media to expand their customer base. Some companies are doing it poorly; solely posting links on their Twitter and Facebook pages and completely ignoring the fact that interaction is the most important part of using social media effectively. Some companies, however, are doing an exceptional job. So, let’s look at three companies that are currently excelling in the social media space. Ford is actively working with customers on Twitter. Twitter continues to break down barriers and enable business-to-consumer discussions to take place. In the past, many companies remained unaware and blissfully ignorant to the issues surrounding their product. However, with some of these comments now viewable on Twitter, companies can keep track of what customers think of their products and, thus, respond to them. Ford does an excellent job of this by constantly “tweeting” back at people that mention the company’s name on Twitter. Especially interesting in Ford’s strategy is their team of social media gurus responding to questions, which allows for a greater reach and response rate than having a single person responding to these questions, comments, and concerns. Old Spice is increasing its user base by interacting with potential clients. Last week, Old Spice took the social media sphere by storm by answering user questions in short YouTube videos. For that day, 13 of the top 23 most viewed videos worldwide on YouTube were Old Spice Videos. By showing their users they card about their questions, Old Spice created an extremely successful campaign. 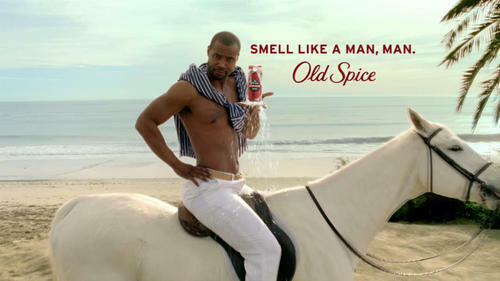 However, this is nothing new for Old Spice; they’ve been active on Facebook for a decent amount of time. By utilizing its fan base and engaging potential customers through interaction, Old Spice is undoubtedly winning people over. And who said you can’t monetize the benefits of using social media? I know people switching to Old Spice just because of their social media strategy. This horse is now DIAMONDS. Comcast answers user issues on Twitter. Until recently, perhaps unfairly, when I heard the word “Comcast” I thought of three things: overpriced, poor service, and long customer service wait times. However, Frank Eliason, an employee of the customer experience division of Comcast in charge of running the comcastcares Twitter account, has completely flipped my opinion of Comcast. Now, when people reach out to Comcast, they get a positive response. For instance, when a gentleman recently tweeted at Comcast that his Internet was working slowly, Frank scheduled a Comcast service visit to the person’s residence. The social media revolution is far from over, and hopefully, we’ll soon see more companies adapting the effective methods used by Comcast, Ford, and Old Spice to interact with, engage, and help respond to customers and potential clients. What companies do you think do a good job with their social media strategy? Or, perhaps just as important, which companies do a poor job? I love the Old Spice commercials and can see why they’re so popular. I never thought I’d get hooked on Facebook, but I see how useful it is and how it changes our generation’s way of communicating.